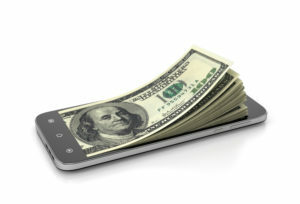 Did you know that 95 percent of text messages are read within three minutes? Because of this powerful statistic, it’s no surprise that many businesses see the value of texting to improve the customer experience. Healthcare is no different. Think about the number of emails and phone calls you receive daily. Can you recall each of the senders or callers? Probably not. Now, think about the people you’ve texted today. It’s probably a lot easier to recall that list of names. Text messaging is reserved for close communication, so informative messages and timely reminders enhance the overall patient experience, increasing patients’ trust in their providers and the hospital. If healthcare organizations learn to leverage the inherent personalization of texting, this has the potential to engage patients and foster an active interest in their health. Texting promotes productivity by reducing two common types of phone calls: the ones your practice staff members make to patients and the ones they receive from patients. It’s difficult to call people at a convenient time, which often can lead to playing phone tag. The average phone call lasts about two minutes, but the average text takes only four to five seconds to send. More importantly, text messages don’t require undivided attention. Recipients can quickly reply in various settings where they might not typically have time to take a phone call. Although the provider-patient interaction may require a little bit of back and forth to resolve, texting is more efficient because it doesn’t require either party to be tied to a phone or wait for the other to become available to speak. This creates a positive patient experience as convenience is everything, enabling patients to fire off a quick confirmation even while at the grocery store. While awaiting a response, your practice staff is free to help additional patients and complete other duties. It’s common for patients to forget their appointments entirely or suddenly remember they need to reschedule. Unfortunately, this easy slip costs a medical practice time and money. One significant advantage to incorporating text messages is to improve patient attendance and reduce surprise no-shows. With a valuable heads up from patients about an appointment conflict, your practice might have an opportunity to fill that time slot. In the reverse, this enables the practice to notify patients of delays in service or office closures, important information to communicate in a timely manner so patients aren’t frustrated. Secure texts could provide an important reminder to patients, even beyond appointment confirmation or scheduling delays. These messages have the power to gently prompt patients to keep up with their health at home and, through personalization, make them feel as though they have a true partner in their care. What if you could remind patients to begin or cease taking certain medications or fast before a test? Imagine how convenient (and empowering) it would be for a patient to send a quick question about a recent diagnosis or send a photo of a rash or bruise that the patient recently developed. Text messaging equips providers with a convenient tool to provide individualized care and help patients get serious about preventive care. Discover how Medicus Healthcare Solutions can help you with your staffing needs by calling 855.301.0563 to speak with an experienced business development executive today. 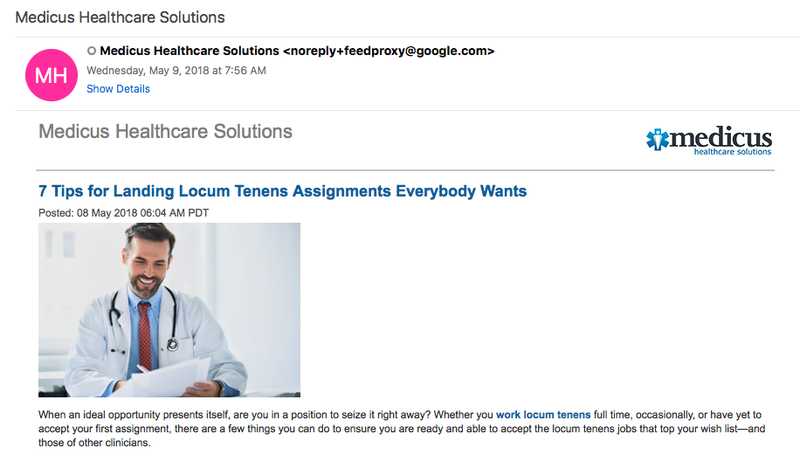 Permanent Placement or Locum Tenens?